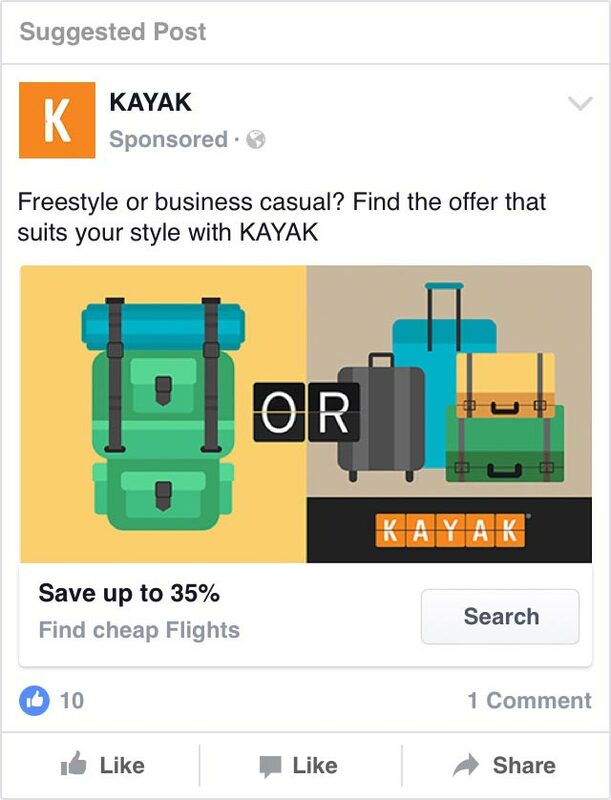 The first step was to set up Kayak’s photography guidelines for Europe. 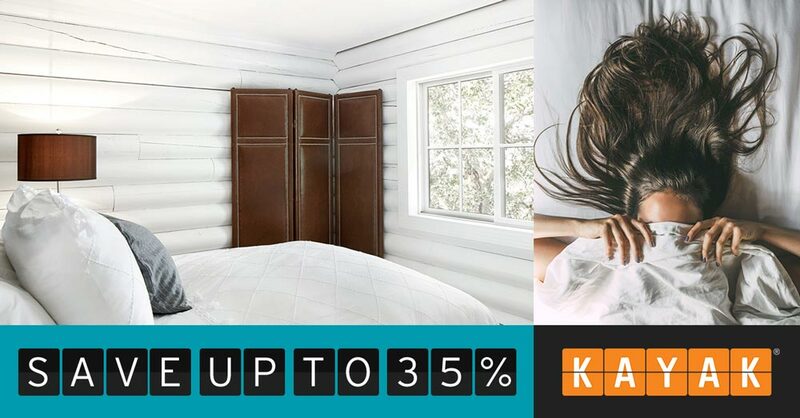 After that, we established an internal, high-quality image bank that helped us to produce quicker. 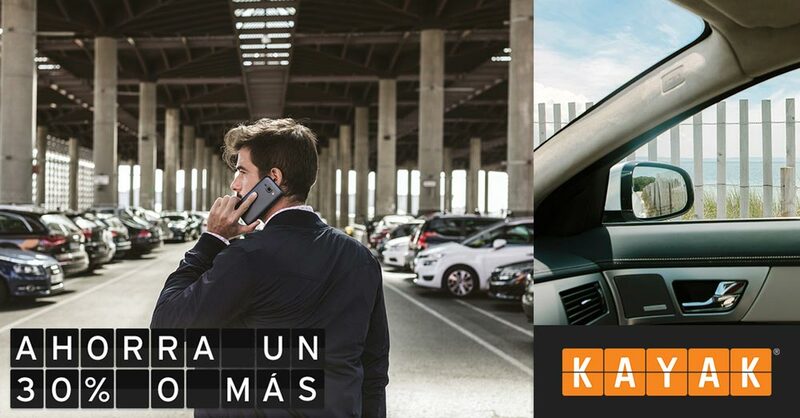 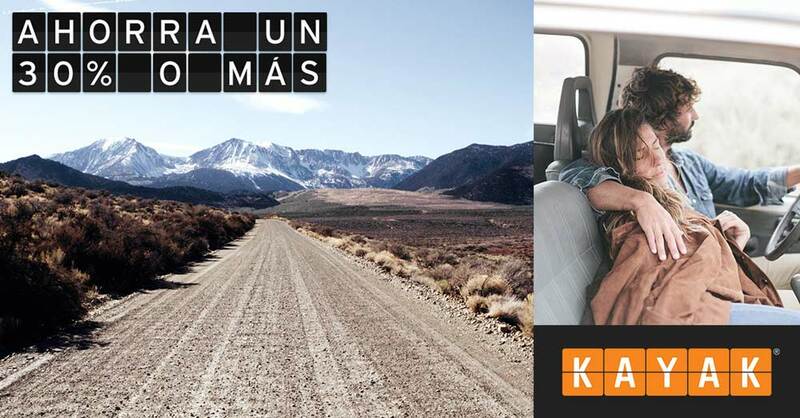 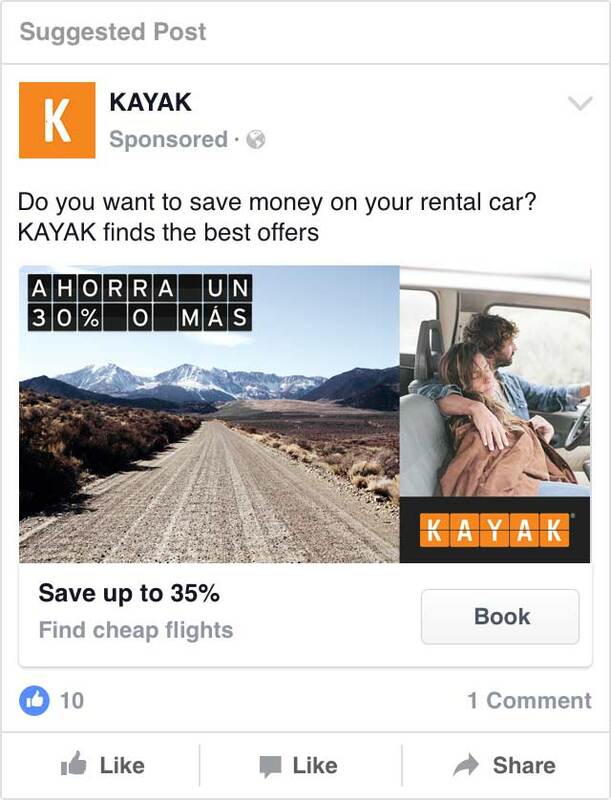 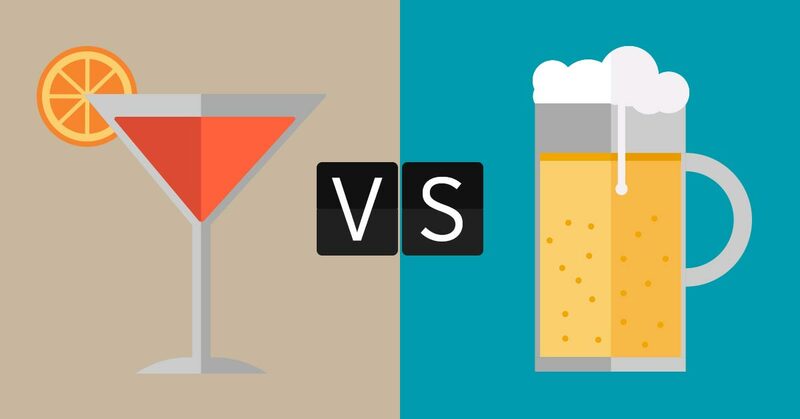 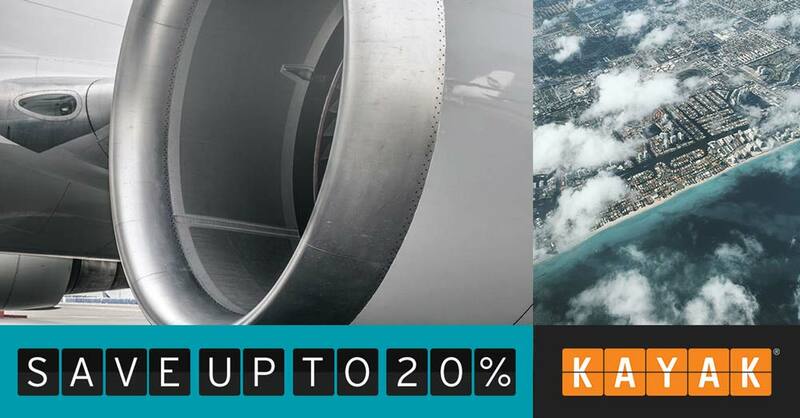 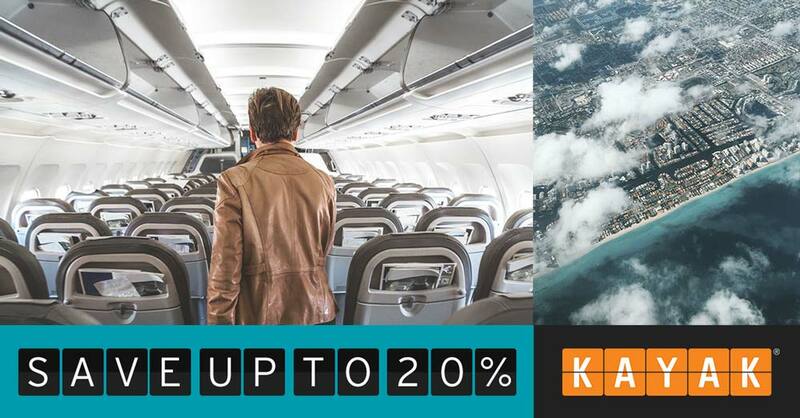 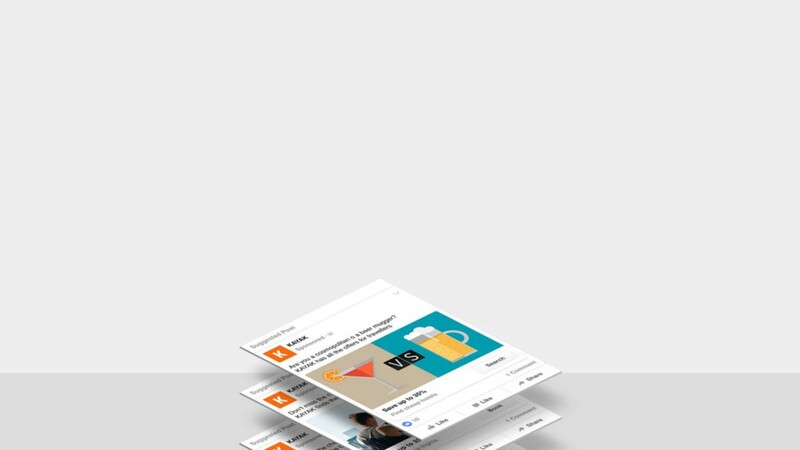 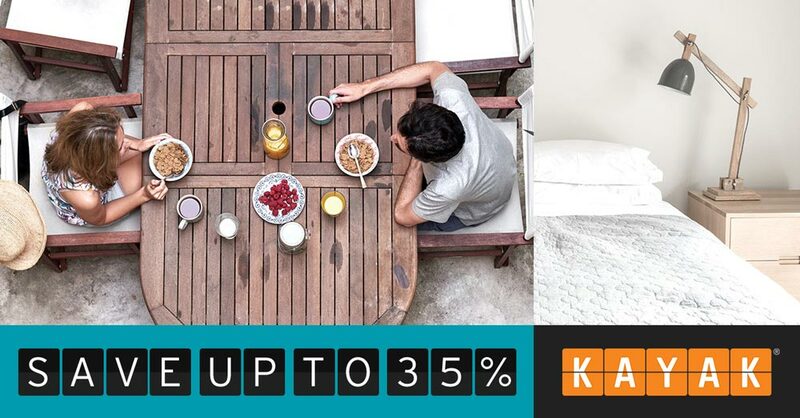 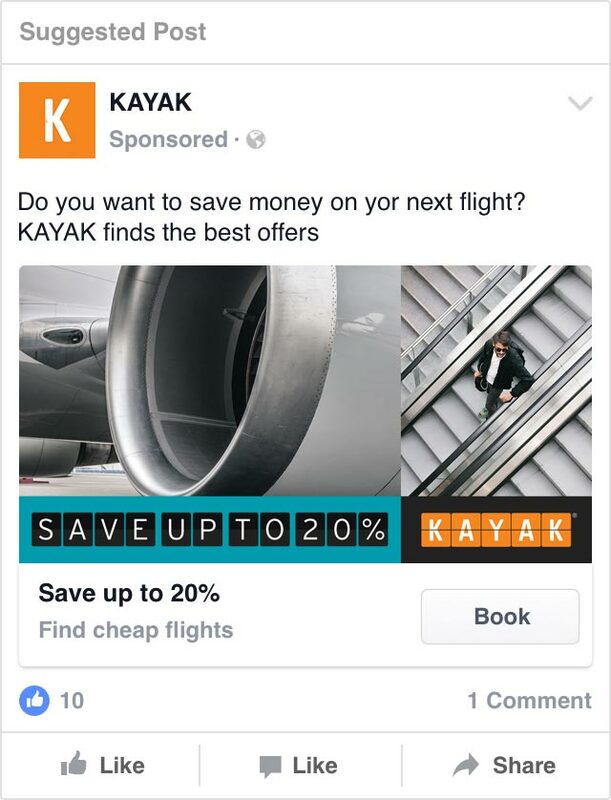 The first set of templates helped us to create a substantial number of ads: exchanging the pictures, we were able to achieve perfectly targeted ads for each group of users (families, business travelers, young people), and for each specific Kayak vertical market (flights, hotels and rental cars). 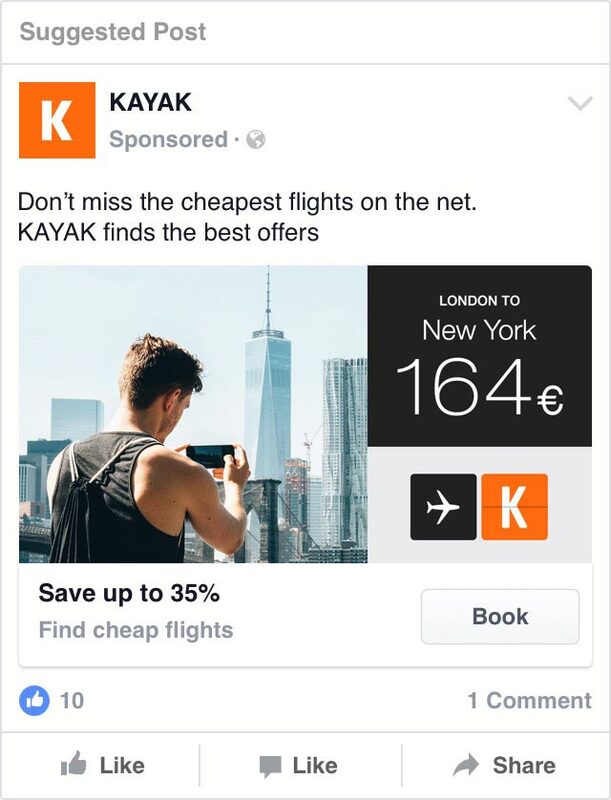 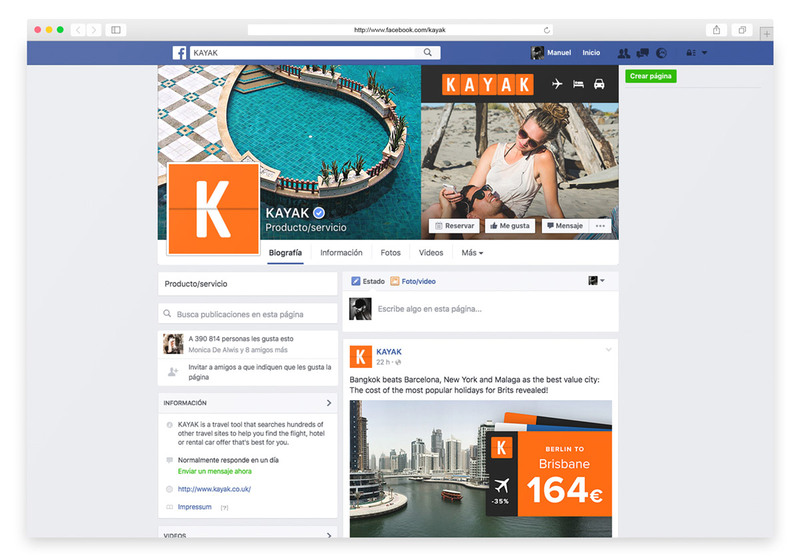 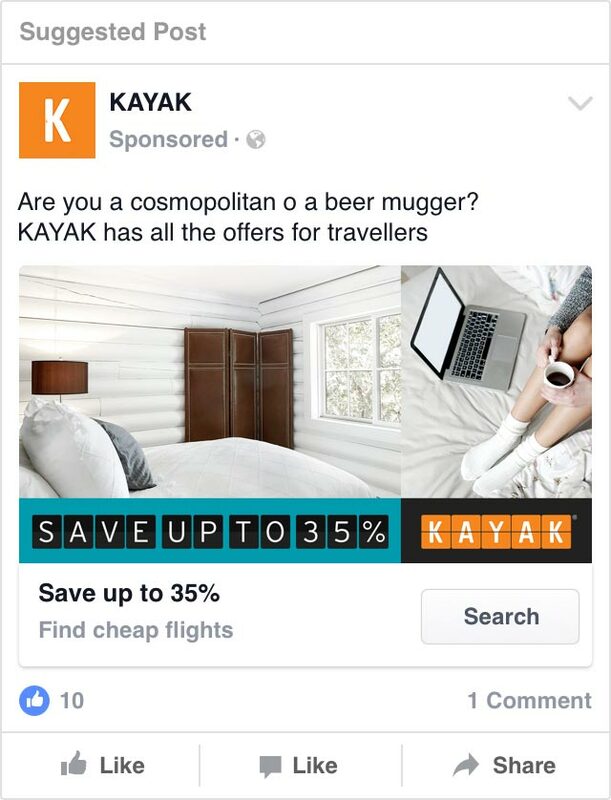 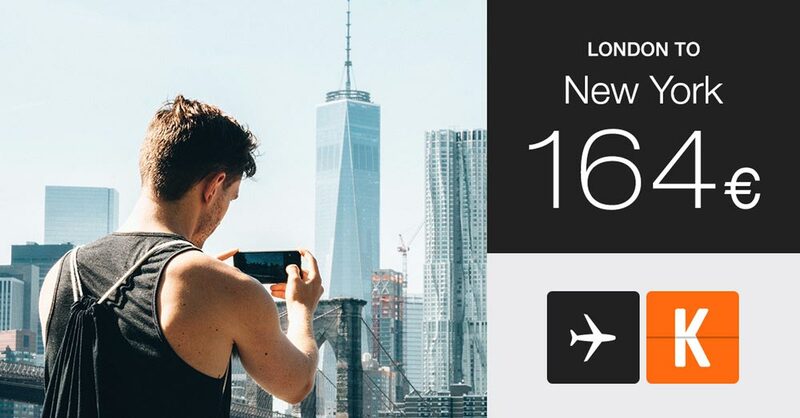 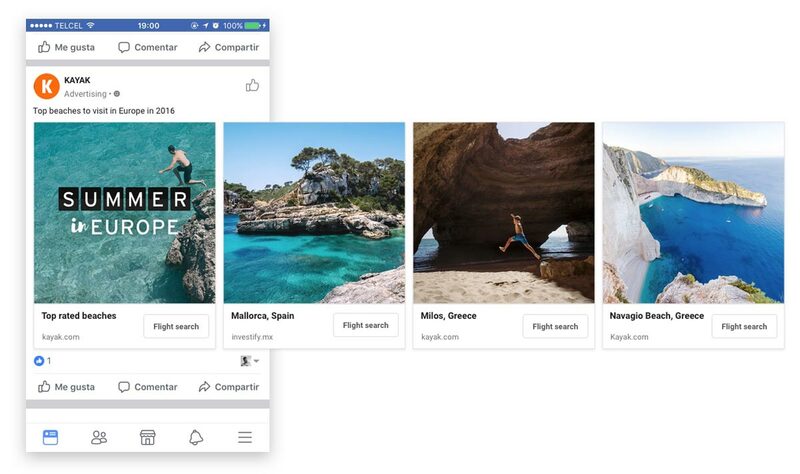 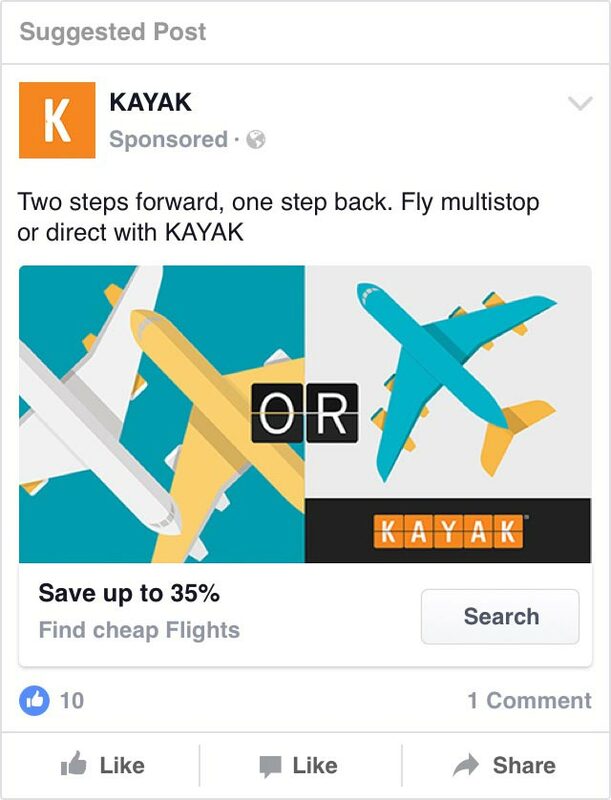 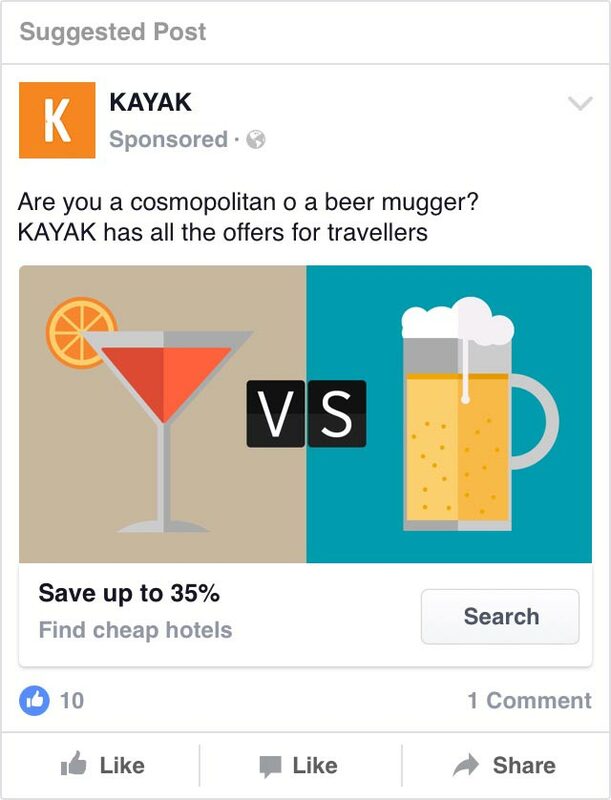 We also created a set of programmatic ad templates for Facebook that automatically displayed the best flight-deals of the moment.